Likes several of the stories I have read, I have worked in education for 37 years and am at a stage and age when retirement makes sense. I love most of my job and need to feel vital and necessary. That search for significance, making the world a little better place, as been one of the gifts of being a school counselor. I am hesitant to take the retirement plunge for fear of not finding that again. Reading these stories is helpful as I try to envision a new way of life. I welcome all suggestions as I imagine my situation is not unique. Comments for Am I Ready To Retire? Ok...it's been a FULL YEAR of retirement this week....and I have to say. It ROCKS!!!! Despite loving my teaching job and the wonderful students I had over 40 years....NOTHING BEATS RETIREMENT. And, I don't even have a real conventional hobby. I LOVE the freedom, the spontaneity, the relaxation, the new friends I have made, and the extra time to work out and now to garden. I made it through the winter which was my biggest fear. I even spent 4 months not driving because of eye surgery but I walked and walked and loved it! I love crawling back to bed if I want to, meeting people for lunch, and travelling. I just returned from a trip to several Greek Islands...when the majority of the tourists were absent. It was fantastic. I saw SPRING for the first time....usually I'm working....but Spring in Seattle was divine! Being the one to decide what I'm going to do each day...read, attend a class, watch a film, whatever! I LOVE IT! Now that I quit teaching, I can enjoy freedom of speech - for example if someone sneezes, I can say "bless you". I can even wear a cross if I wish. I have 4 weeks left until I retire after teaching for 40 years. I have to say once I made the decision it feels pretty good. On one hand I don't have a choice, my hearing is preventing me from continuing to teach. I have been losing my hearing for the past 8 years and although my independent school provided me the accommodation of installing in a hearing loop which carries the sound of my students to my hearing aids...it's time. "So it is with the clarity that comes of 40 years spent with young and brilliant minds that I have realized that it's time for this chapter to come to a close. I now head into the next great adventure to do the impossible, to know the unknowable, to think the unthinkable, and get more sleep." I have been working in Education for 40 years and have had a great career. I work at a college and have a very responsible position. My salary is good but I am considering retiring at age 65 which is in about 1 and 1/2 years. I think it is time but I am scared. Yes, I will received SS and a good pension but for so long my life has been structured and routine. I am trying to make a list of things to do if I retire and I am sure once I do, I will find pleasure. I see my husband who retired a month ago go from enjoying his free time and doing things he likes to do to seemingly finding the days are just too long. He does plan to see something part-time to have a place to go and some extra money but we are in good shape financially. When is one really ready? Do you know? I do not want to lose the independence I have and the salary..
Greetings from Julie in Australia. With regards to retirement, I found a solution by tutoring a couple of hours per week, and volunteering on Studypool and as a mentor for other English/ESL tutors who run a homework program for a big Charity in Melbourne, which aims to educate refugees and long term unemployed in literacy skills. In the 'golden years' you can appreciate not being in the "Rat race", being more selective, follow your passions, and pace yourself. I too retired from education and I regret not considering how I would spend all that free time. I was not ready not to be needed and not to be contributing in some way, so I went back to work as a part time tutor. Make sure you know what you are retiring TO. If you still like going to work every day, stay there! You may still live 35 more years on this earth...that is a long time to be retired. Think about it!!! What did you do during the summer time for activities? Normally teachers in the educational industry usually have a large blog of time every year to do whatever they want. Most of us had only 2-4 weeks off which usually isn't long enough to startup any significant new projects. It is not for me to suggest you retire - most of my friends retired and are doing great travelling, volunteering, enjoying life to the max. I did not know till I was 62 (!) that I was prone to clinical depression - sure we all get down sometimes and I'd been there but NOTHING that could even come close to this. if you feel healthy and not prone to this dreadful insidious illness, retirement might be fabulous for you - but think about it long and hard - I didn't - I just bit the bullet and signed off very quickly without really thinking about what I was doing and it was a huge mistake one I can never forgive myself for. Use your experiences to help others! 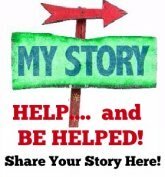 As a school counselor, I wonder if you might care to write about your experiences online. You could start a blog on school guidance, helping parents cope, helping kids cope, twist it however you like. Why NOT share your abilities with the world? YES, I am blog crazy... but thats what immediately came to my mind!